Before I left for vacation last month, I volunteered to make something for the United Way Giving Campaign at work. At first I assumed I could just bake a few dozen cupcakes or some caramel dipped pretzels but quickly learned that home-baked goods for humans were prohibited for company sponsored events. Um...what? The kind woman who was organizing the event had to break the bad news to me and suggested that I consider making dog or cat treats instead. What an incredibly awesome idea! After much research, I learned what foods to stay away from - no chocolate, avocado, garlic (this is controversial though but I decided to steer clear) or onions and found a plethora of great recipes to choose from. I selected three that used wholesome ingredients and would be something I would eat, albeit probably not completely enjoy. These recipes were SUPER easy to make and took almost no time at all. It's also a wonderful way to know exactly what your beloved companion is eating and save a few bucks at the same time. 3 cups whole wheat flour or regular flour, either works. In a large bowl, combine rolled oats, margarine, bouillon and boiling water. Let stand 10 minutes. Grease cookie sheets or use a SilPat mat. Thoroughly stir in cornmeal, sugar, milk, Cheddar cheese, egg and bacon. Mix in flour, 1 cup at a time, until a stiff dough has formed. Be sure to get all the sticky batter from the bottom of the bowl. 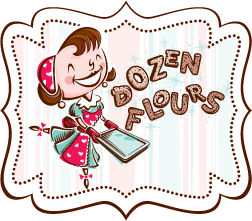 Keep adding flour, even if it's more than the 3 cups, until the dough is no longer sticky. Knead dough on a lightly floured surface, mixing in additional flour as necessary until dough is smooth and no longer sticky. Roll or pat out dough to 1/2" thickness. 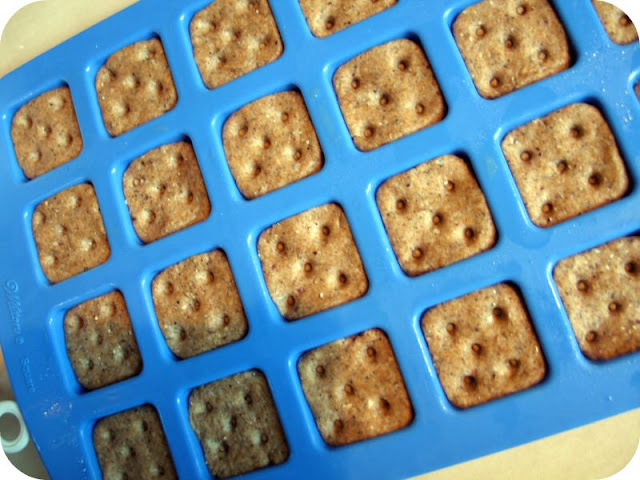 Cut with cookie cutter and place onto the prepared cookie sheets. You can crowd these pretty close together on the sheet, just leave about 1/8-1/4 inch between each cookie. The dough will not spread. Preheat the oven to 350F. Grease a cookie sheet or silicone mold pan. In a large bowl, stir together the whole wheat flour, cornmeal and salt. Mix in the oil, egg and water to make a soft dough that is not too sticky. You may add more flour if needed. 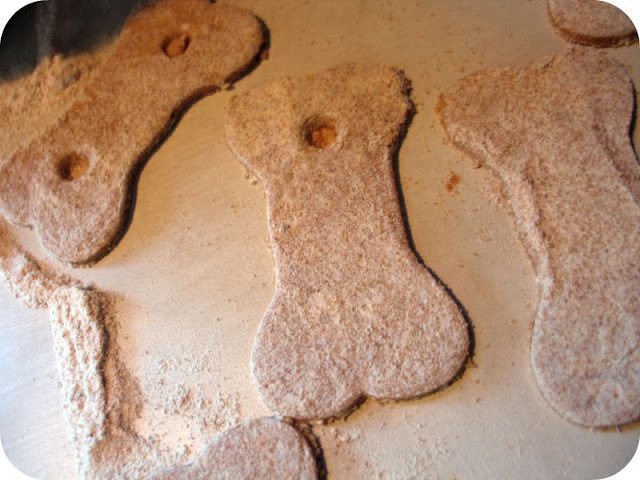 Roll teaspoonfuls of dough into balls, and place on the prepared cookie sheet or mold. Flatten slightly. Combine wheat flour, spelt flour, and oats in large bowl. Stir in water and peanut butter. Knead dough on a lightly floured surface, mixing in more flour as needed until dough is smooth and no longer sticky. Roll out dough to 1/4 inch thick. Cut with small cookie cutters into desired shapes, and place 3/4 inch apart on greased cookie sheets. I packed all the cookies by size and flavor. The larger cookies I packed 3 to a bag and the smaller ones I packed by weight (25 grams). 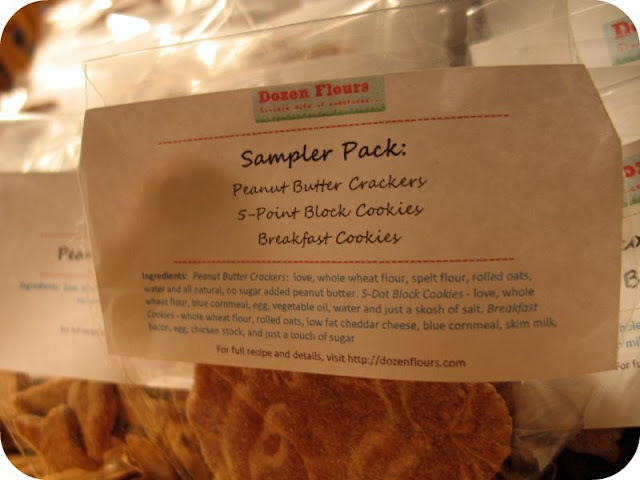 I had a few spares so I created a sampler pack that contains one of each cookie. I plan to sell them $2 a bag. I hope they all sell! Fun! 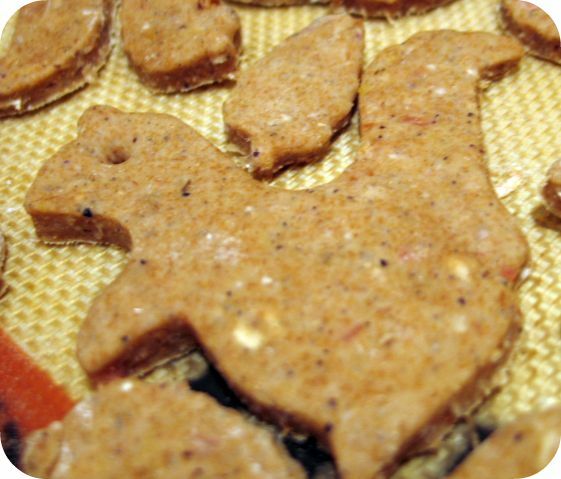 I'm going to make my dogs some of these this weekend! I fed my dog Kirby all three of your dog treats and he loves them all! He gets really excited when I take them out of the cupboard. Thanks everyone for leaving me comments! Maddy - I'm so glad that Kirby liked his cookies. That really warms my heart! BTW, I'm SUPER excited to make your birthday cake. I can't wait! You're awesome....you even make cookies for the doggies! Oh, did you ever get my email? I sent you one a little over a week ago. I cannot wait to see it!!!! Last year, for Christmas, one of my coworkers made pet goody bags for anyone who had a dog. It was a BIG HIT and so thoughtful! She homemade all these cookies that looked just like what we'd want but with karob instead of chocolate, etc. Brilliant! The dog treats were a big hit with my dog, Cooper. Normally he eats his dry treats with no fan fare and as quickly as possible. But, I gave him a peanut butter bone and he took it over to the dining room (because he was raised right)and turned his back to me while he slowly ate it. My husband commented that it was like watching me with chocolate. Bravo! Cooper says - make more! I wanted to make these in a few days, but I can't find any spelt flour in my town. Is there anything I could substitute for it? You can use whole wheat or even all purpose flour. 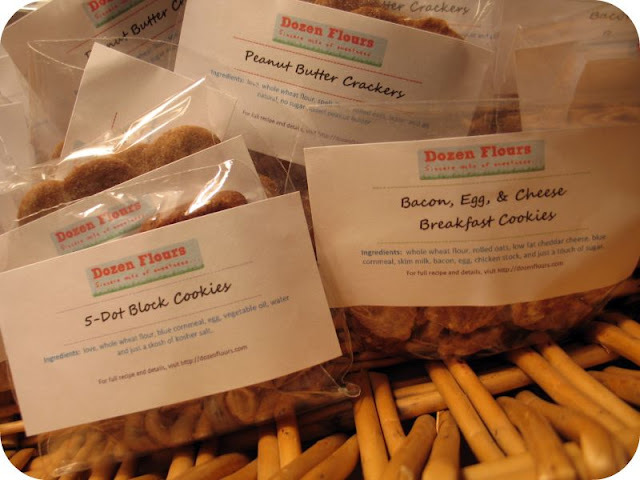 Just wanted to say that I made the peanut butter and the breakfast biscuits today and my dogs loved them :) I made treat bags full of each to give to friends for their dogs later in the week. They were easy to make and I might start doing this every Christmas!